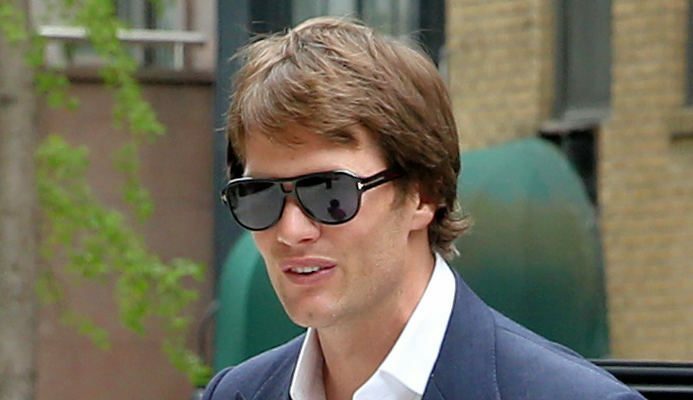 Tom Brady is an American football quarterback for the New England Patriots, aged 41 years old. He has a weight of 102 kg (225 lbs) and a height of 6’4” (193 cm). His workout includes triceps extensions, crunches, and dumbbell bicep curls, which help him maintain a 46-16-37 body. Tom Brady led his team to a win at Super Bowl last year and is expected to repeat the same this year, in 2018. Much of the credit should go to his healthy diet & intense workout. Workout: Triceps Extensions, Crunches, Dumbbell Bicep Curls. Tom Brady believes his success on the football field is due to his healthy eating habits and plant-based diet. In May, Brady released the TB12 Nutrition Manual, which features 89 healthy recipes and TB12 nutrition philosophies. What are Tom Brady’s eating habits? He has never tried coffee or strawberries and won’t ever touch a cheeseburger. Brady doesn’t believe he can play football for a long time and eat cheeseburgers every day. Instead, Brady sells vegan snacks such as cacao goji energy squares, superfood energy squares, and blueberry crunch. Brady’s plant-based diet is also free of sugar but includes coconut oil and Himalayan sea salt. Brady also has a personal chef, Joanne Gerrard Young, who is also a holistic nutritionist, master raw food chef, and health educator behind The Healing Cuisine. Brady’s diet includes colorful salads and lots of fresh vegetables. Brady and his supermodel wife Gisele Bundchen will often consume their largest meal at lunch and then a smaller dinner. The couple also currently refrains from eating sweets, but they will eat some raw vegan desserts. Chef Young makes lots of healthy meals for the couple, including a superfood green smoothie, Swiss chard summer rolls with sweet and spicy almond sauce, pineapple cucumber gazpacho, creamy coconut noodles with a creamy coconut sauce, and a coconut mango cream pie with a coconut cream filling. How has Brady kept in shape during his suspension besides eating lots of healthy meals? He has been playing catch with former Patriots teammate and current free agent Wes Welker. Brady’s wife also kept him in game-ready shape. Brady also has an intense workout regimen that will surely keep him playing into his 40’s. In the past, Brady has worked out with trainer Gunnar Peterson in the off-season for his upper-body and lower-body workouts. Some of his exercises have included cable lat pull-downs, crunches, reverse crunches, forward lunges, medicine ball push-ups, triceps extensions, and cable press-downs. Brady’s workouts also include bodyweight exercises and workouts with resistance bands that help him achieve greater flexibility in his muscles.